Johnny Depp’s verdict on his own debauched and gonzo trip to Havana with Hunter S. Thompson could ably describe our collective understanding of Cuba and her history as a whole: “It was totally ludicrous and surreal.” Because what do we see of Cuba, really? Looking through a lens made opaque by a censorship that generally conforms to the ideological and economic embargo of the last fifty years, and perhaps by our own assumed political superiority, our picture is impressionistic at best. No surprise, then, that what we think we know of the island nation ninety miles off the Florida Keys is in fact histrionic inflation of the good and the bad that has existed there. We have in our mind Hemingway’s butch haven for swarthy adventure. We have Che’s martyred committment to rebellion. We have the Bay of Pigs and the secret campaigns of the CIA to “whack out the Beard,” as Joe Pesci’s Agency contractor in JFK says of the numerous and increasingly buffoonish attempts to assassinate Castro. We have the nearly slapstick idiocy of intelligence agencies and generals, ours and theirs, who, operating out of fear and paranoia, nearly blew up the world in October 1962. 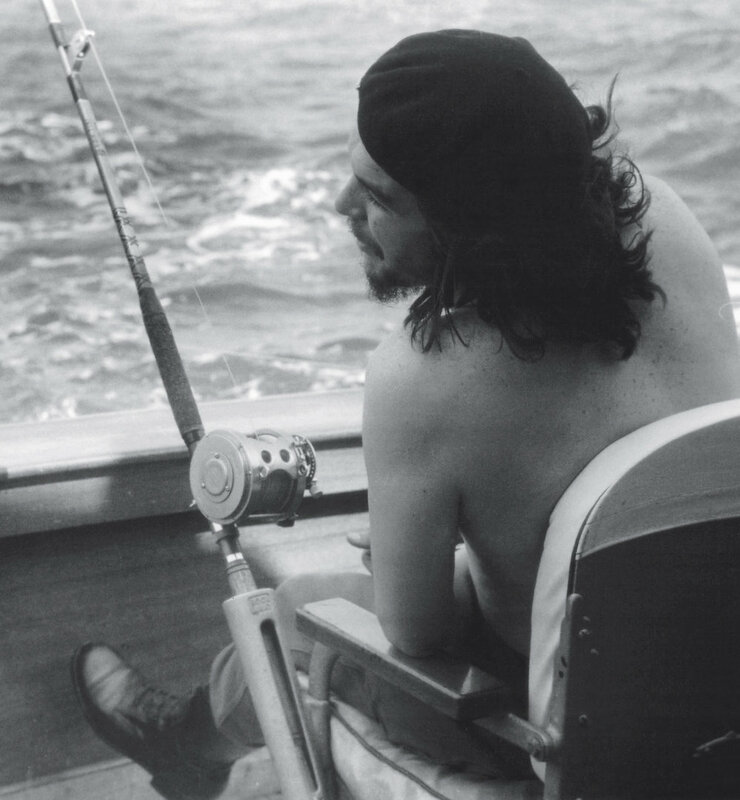 Che Guevara competes in a marlin fishing tournament, 1960. Photograph by Alberto Korda. When we look at our idea of Cuba past and present, we see extraordinary disparity, economic and otherwise: Hyman Roth and Michael Corleone gambling at the Riviera Hotel in The Godfather: Part II; Slim Aarons’s images of an entitled jet set hopping around an aquamarine pool while plantation workers were exploited to medieval extremes in the Batista era. We are given the picture of a land of wild, Jungle Book fecundity in flames. This latter impression is reinforced, fittingly, in part by the 1964 Soviet-funded, Felliniesque masterpiece that is I Am Cuba, a film despised at the time of its making in both Cuba and the USSR, but now rightly beloved as one of the best movies ever made anywhere. The Castro era, (Fidel’s first, and now Raúl’s) which announced itself with the film’s corrective vision of the island’s purity, is generally characterized, in very broad strokes, as draconian repression in service of beautiful ideals — world-class health care, but allowing only a chosen few to access it; baseball gods on hellish diamonds; a tumble-down postcolonial mansion. But these sensationalized extremes of splendor and decay are just that, and taste of the myths we’ve been spoon-fed. 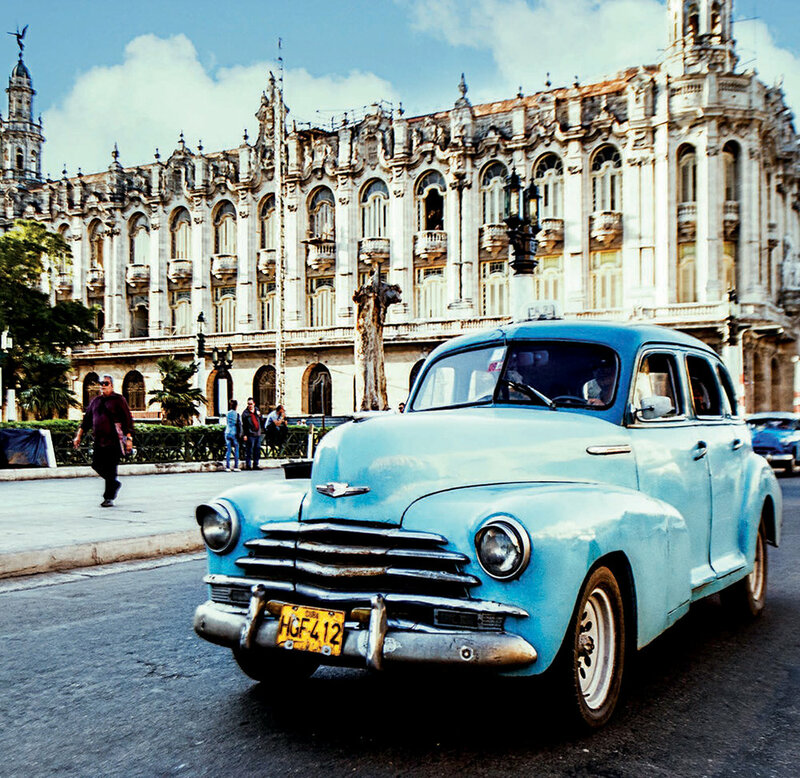 The real Cuba, then, as the guidebooks would call it, is hidden — up a winding staircase, maybe, through the back room of someone’s home, where you’ll discover the splendor of paladares, the great gray-market dining operations run by regular families. The real Havana remains a trapped-in-embargo-amber version of the city as it was in 1959, when Che and Fidel marched in from Santa Clara. But the amber, hopefully, begins to crack. On December 17, 2014, President Obama and Raúl Castro announced their decision to ease ties between the two countries, reopening embassies in one another’s capitals, easing restrictions on trade and travel, and, significantly, removing Cuba from the list of countries harboring terrorists. The long-term effects of this process are of course impossible to project, but any lessening of enmity and secrecy are reasons to rejoice immediately. A new flood of congress cannot help but to illuminate some of the shadier areas of our understanding, even if it comes at the point of a Starbucks franchise and trailing a tyranny of Instagram posts and travel shows selling us on the island’s hippest enclaves. The time to go is now. There are three options available to Americans who want to visit the island: fly in anonymously from a country not the United States, and carry only cash; have a close family member who resides in Cuba, and requent permission; or sign up for one of the people-to-people exchanges — sort of mini cultural ambassadorships — currently selling out months in advance. This 427-room hotel has a solid rooftop pool and the most buzzing lobby in town. 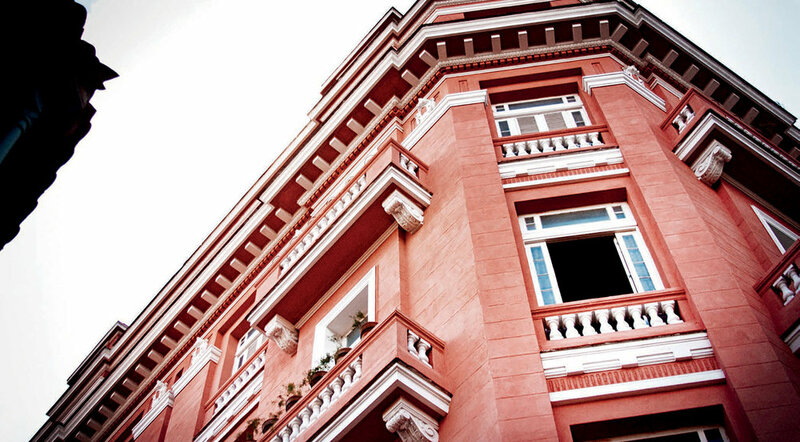 The location, on the edge of Old and Central Havana, puts you within easy walking distance of the shops and bars on Calle Obispo and Paseo del Prado. taxis makes for great viewing. Three floors up in a crumbling century-old mansion, this atmospheric privately-owned restaurant is routinely cited as Havana’s finest. Go for Cuban specialties like ropa vieja (a classic made with tomato sauce and shredded beef) and tuna with sugar-cane glaze—and book a table in advance. 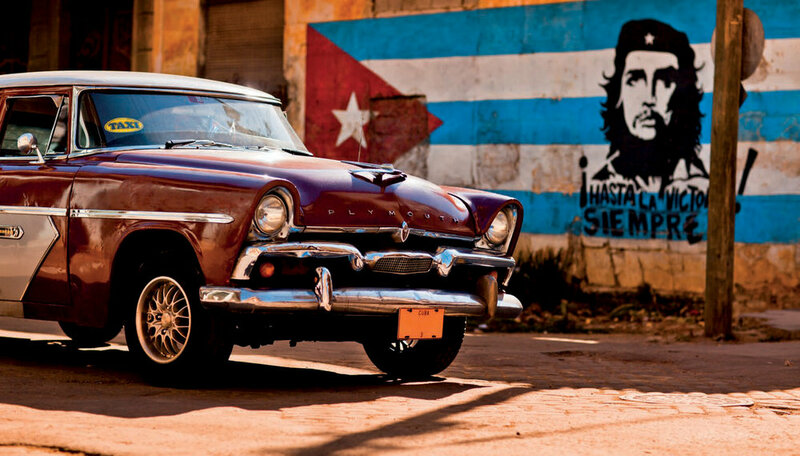 Those lucky enough to own a pre-revolutionary vehicle can earn money legally by ferrying passengers through Havana; if you’re visiting, keep an eye out for the city's hand-painted murals. Habanos, Cohiba, Monte Cristo, Romeo y Julieta, and (of course) Partagás are among the brands still being produced at this 170-year-old factory, with its handsomely faded neoclassical façade. There’s also a museum, shop, and cigar-making school. Built in 1957 by American mobster Meyer Lansky, this hotel has more mid-century flavor than any other in Havana. Soak up the original bronze sculptures, marble floors, and high-altitude views of the Gulf of Mexico. Go for the location, on the beautiful and historic Plaza de la Catedrál, as much as for the decent food. A vibrant rotation of live bands comes through the leafy courtyard. 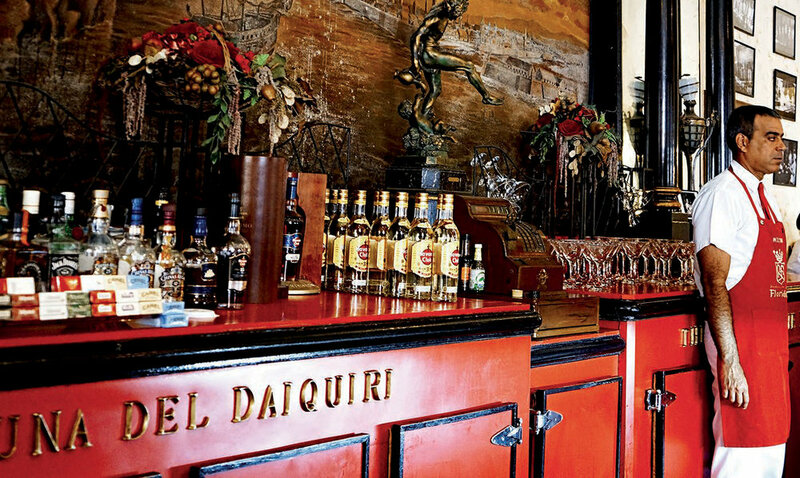 Open since 1820, this classic watering hole is famous as the birthplace of the Daiquiri—and inextricably linked with its most famous regular, Ernest Hemingway. It scores high marks for its seafood, swinging atmosphere, and excellent service. Cuban cigars remain one of the most popular purchases in Havana Most luxury hotels have at least one humidor. Another Hemingway haunt, and an innovative piece of architecture in its day, this well-situated 1920's hotel has held onto its original metal-cage lift and other charmingly dated details. The terrace (open to non-guests) is a great place for a nightcap and the best bars of Old Havana are also nearby. Hemingway’s fifth-floor room has been preserved as he left it—worth a visit, but also means the hotel draws a steady stream of tour groups. Referred to as “Apostle of Cuban Independence,” this 19th-century poet and revolutionary is a crucial figure in the country’s modern history. He’s worth learning a little about for sure. In operation since the 1930's, this legendary cabaret was once famous for its sumptuous performances and beautiful showgirls. The scene isn’t as over-the-top today, but the show—complete with sequined g-strings and feather headdresses—goes on, in open air if the weather permits. A few steps from the main cruise ship terminal, on Plaza San Francisco, a grandiose old-world dining experience can be had. Tuxedoed waiters serve up indulgences like goose-liver pâté, caviar, and a delicate filet minon. A dominant feature of the Havana landscape, this Renaissance-style fortress helped make the city the best-defended outpost in the Americas for some two hundred years. It was built by the Spanish in 1640 to protect the harbor from enemies—including British pirates, who captured it in 1762. The high-quality beaches east of Habana Vieja make for a great day trip, especially if you’re up for some windsurfing. A 20-minute drive south of Havana, this 1,800-acre recreation area is short on tourists and high on family-friendly attractions, including an amusement park and an informally managed equestrian center. The year-round programming includes the Rodeo Nacional, pictured. Inside a large glass enclosure lies a very important boat: the Granma, the yacht in which Fidel Castro, Che Guevara and some 80 revolutionaries traveled from Mexico to Cuba in 1959 in order to overthrow the Batista regime. Along with baseball, boxing is the national sport of Cuba. Olympic champions have trained at this gym, the capital city’s oldest, and foreign visitors can as well. Coach Nardo Mestre Flores spent nine years competing with the national team. This 1930 Art Deco landmark offers a true nostalgia trip, from your arrival under a colonnade of 75-foot palms to the opulence of the Moorish Lobby and top-notch cabaret, the Parisien. Past guests include Winston Churchill and Frank Sinatra, and while it certainly isn’t what it used to be in terms of guest services, its ramshackle grandeur and stunning grounds are reason enough to stay here.